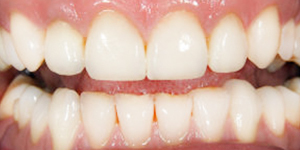 Do you want a gorgeous, healthy smile but you have one or more consecutive missing teeth? You shouldn’t worry: dental bridges are some of the most popular, safest, time-tested, and affordable dental solutions used for dental restorations. You may be looking for such services around, so let’s talk about our services for dental bridges in Fort Lauderdale Florida and their main advantages! Once you come in our office for an evaluation, you will receive a thorough diagnosis and a detailed assessment of your situation. Depending on your dental health status, your assigned doctor will recommend you the placement of a bridge to fix your missing tooth problem. However, if you present some gum diseases for instance, your doctor will first treat this issue. We offer all dental services under one roof, so we won’t have you running around wasting time and money on different dental treatments performed in different dental offices. Once the decision regarding the type of your dental bridge is made, you will enjoy an efficient and fast treatment. Our complete treatments for dental bridges in Fort Lauderdale Florida don’t take more than two sessions. We also work fast as we value your personal and professional time. Moreover, we use the latest equipment, materials, and procedures, investing in advanced medical technology and the continuous training of our team. Our doctors have nearly 60 years of combined medical practice and they are able to offer you exceptional results in a short period of time. Given the skills of our doctors and the durability of the bridges we place (as we work with certified and licensed laboratories which manufacture top-of-the-line bridges), your dental bridges will last you for a lifetime. You will have to care for them by following regular daily oral hygiene. Of course, you should make sure your dental bridges don’t suffer mechanical accidents, cracks, or fractures. However, even if something goes wrong with your bridge, you can always come back to us for follow-up and treatment. We built a strong reputation on patient care. You will enjoy the positive and warm atmosphere you will find here and the in-office comforts and amenities. Our goal is to create strong relationships with our patients and alleviate any stress they might feel related to dental treatments. Our specialists of dental bridges in Fort Lauderdale Florida will actively work with you to make all your dental treatments affordable.